MyRatePlan is America's most reliable authority for comparing cell phones and plans. Use our tool below to compare cell phones and get exclusive deals by price, feature, carrier, and more. Know who&apos;s calling with Verizon Call Filter. The cell phone market has grown immensely just within the last ten years and continues to do so. Cell phones have gone from being simple forms of portable communication to portable mini-computers, depending on the phone. Anyone who is looking for a cell phone needs to begin the search early. Researching the various types of phones and their capabilities, cell phone data and usage plans, service, and companies is very important to find the perfect phone. However, sometimes it can be quite overwhelming. There are hundreds of cell phones, and then you must also consider the cell phone plan to go with it. Luckily, MyRatePlan is here to help you weed out the good from the bad. With our comparison tool, MyRatePlan can dig through your options and help you find the perfect cell phone or smartphone for you. What will you be using the phone for? This is the most important question to consider. Cell phones are primarily for verbal communication, so obviously you want a cell phone that easily receives service, is easy to dial and answer and is conducive to conversation - the mouthpiece is easily engaged as well as the earpiece so the user can hear and speak without problems. And if you plan on communicating via text messages, the cell phone should have a user-friendly keyboard so texting doesn't become dubious. If you want a phone that extends beyond these basic services, it's important to think about your main needs. There are cell phones that can serve as iPods, or music devices. Many smartphones allow you to browse the internet, and give you access to email, maps, GPS, and more. Others have top of the line cameras or video. Some also have high memory capacities, WiFi access, global roaming abilities and other bonus features. Figure out what you want to use the phone for, and you'll be able to filter by what you need most. Next, it's important to consider the manufacturer and carrier. Depending on whether you want a basic phone or smartphone, you can narrow the search down by which manufacturer offers the type of phone with the features you want. Once you purchase the cell phone, it does not automatically begin to work wirelessly, providing all of the services that have been mentioned. 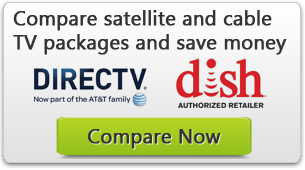 Telephone companies, such as AT&T, Verizon and T-Mobile, just to name a few, offer plans for a subscription price per month based on what you will use. For example, if texting is something that you use daily, you may want to choose a plan that offers unlimited talk and text. And if you browse the Internet or read emails on your phone, you will need to buy a plan with a certain amount of data. Finding the right cell phone doesn't have to be as hard as it seems. By shopping through MyRatePlan, you can find the best phone and cell phone plan for your needs. Just use our tool to filter by features, brand, carrier, or operating system, and we guarantee you'll find exactly what you need.